He's not just one of the faces of the Artists Quarter. 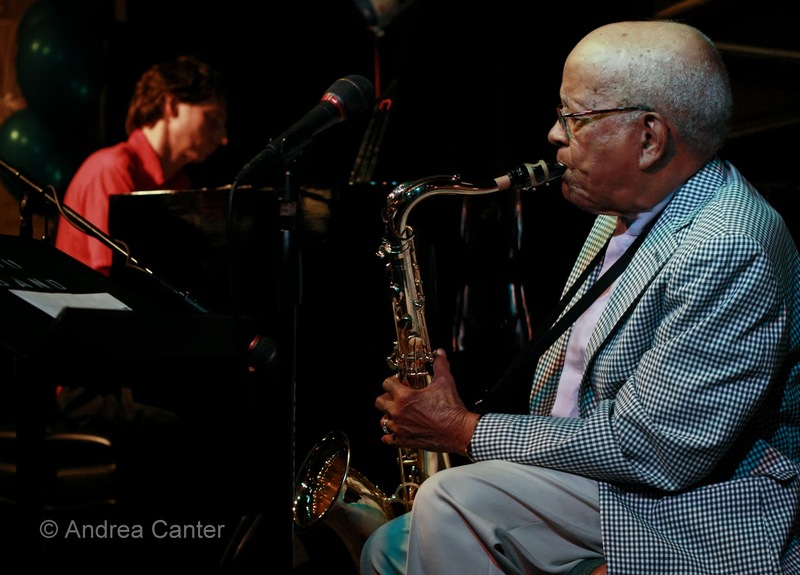 Irv Williams is simply the face of jazz in Minnesota. The Cincinnati native has been here since the 40s, and built a resume that include Fletcher Henderson, Mary Lou Williams, Billy Eckstein, Sarah Vaughan, Dizzy Gillespie and Johnny Hodges. But perhaps it is his last decade that has been the most remarkable for the tenor saxman known as "Mr. Smooth," as he has released a handful of recordings (each one dubbed his last), held annual birthday parties (and retirement parties!) at both the AQ and Dakota, and still holds a weekly happy hour gig at the Dakota, usually with pianist Peter Schimke. He's weathered a few health crises and is quick to note, when asked, that "I'm still here." City Pages -- about 7 years ago-- noted that he is “..either the coolest old guy or the oldest cool guy in St. Paul.” It's still true in 2013.